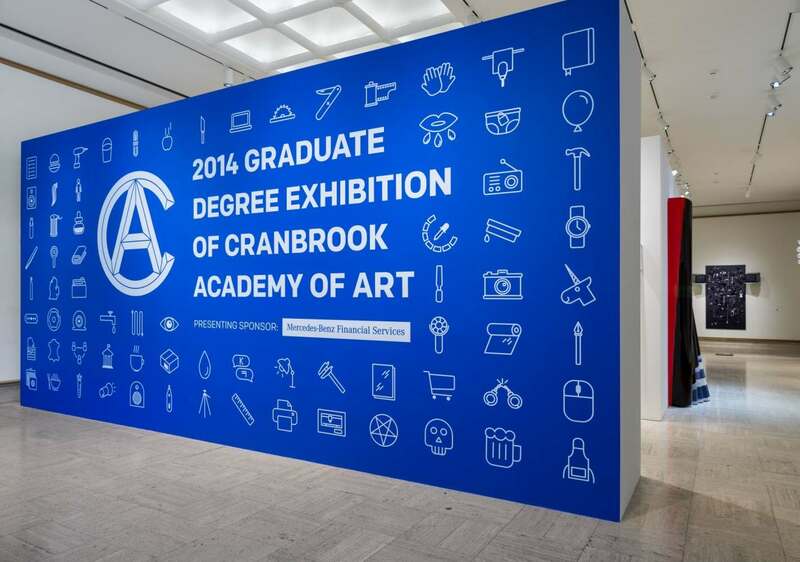 The 2014 Graduate Degree Exhibition of Cranbrook Academy of Art opens to the public on April 22, and will showcase work from the next generation of architects, artists and designers who are shaping the future of art and design. The exhibition features pieces that are the culmination of two years of studio work from a diverse group of 75 graduates. Visitors can see installations such as an outdoor chandelier composed entirely of small bags of water, participate in an interactive virtual video work based on their movements in the gallery and experience a self-activated mechanical arm that brings speakers directly to the listener. The exhibition will fill the entire 15,000 square feet of Cranbrook Art Museum and surrounding grounds. It is the most diverse exhibition offered all year as it showcases work from across all of the Academy’s 10 departments – 2D and 3D Design, Architecture, Ceramics, Fiber, Metalsmithing, Painting, Photography, Print Media, and Sculpture.